At R & F Building Industries we’re big believers in quality products. And that’s why we supply Taylex Tanks septic tanks to clients wanting a superior performer when it comes to home sewage treatment in Victoria. They’ve got decades of experience in manufacturing high-standard concrete and plastic tanks to effectively treat household wastewater. They dedicate time and money into their research and development work in an on-going commitment to give their clients the best product available. Their Advanced Blower System technology is a good example. They back their products to the hilt because they know they’re good. Taylex Tanks offers a 15-year manufacturing warranty on septic tanks and other home sewage treatment systems that carry their well-regarded name. Our professional and experienced crew at R & F Building Industries has been supplying septic tanks from Taylex Tanks to clients across Victoria for years. We also install them on residential and business properties and carry out any maintenance and repair work necessary to keep the wastewater treatment systems performing at a high standard. Taylex, a family-owned company, has been making septic tanks and aerated wastewater treatment systems for almost half a century. They stock a huge range of products including septic tanks in both concrete and durable plastic from 4000 litres right up to 22,000 litres. That means there’s one that will capably meet your needs. Taylex septic tanks, which come with a baffle wall, are all poured or moulded in a single piece, keeping them structurally strong to cope with a long working life. The company’s products garnered strong interest at last month’s Melbourne Home Show, giving people with properties not connected to mains sewage a quality option to treat domestic wastewater efficiently. 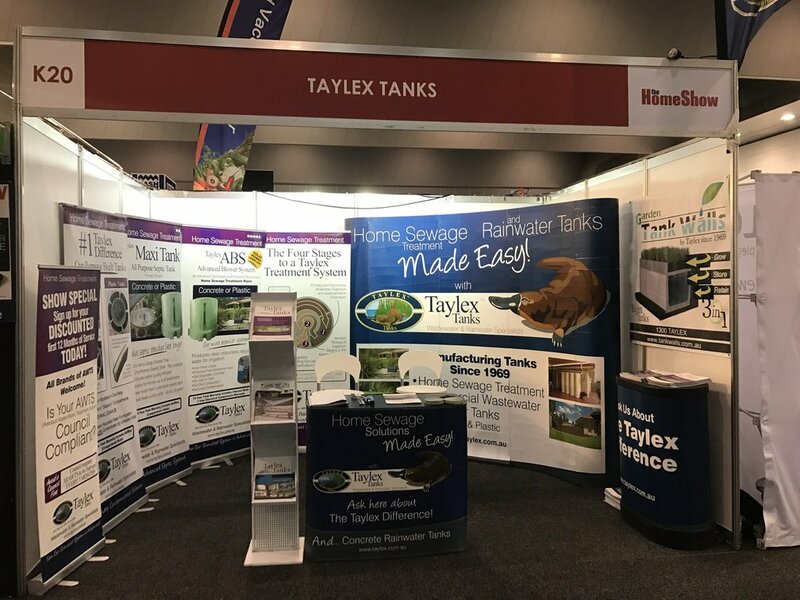 Whether you live in rural or regional Victoria or even in Melbourne, R & F Building Industries are the septic-tank specialists you can contact for practical advice, supply and installation of Taylex Tanks products. We won’t let you down, and neither will the Taylex.